The 4 S’s of creating a perfect fitted bedroom! We would like to think that we are somewhat of an expert when it comes to fitted bedrooms. As a company, we have been in the fitted bedroom industry for over 40 years and during that time we have come up with a clever and easy to remember solution which means you will always come out with the perfect looking fitted bedroom! And that’s the 4 S’s; style, substance, storage and space! Your bedroom needs to flow with the overall style of your home. So whether you live in a super modern flat or a country townhouse, you want something that looks in place. That’s where we can help! We can create bespoke fitted bedrooms from scratch, meaning your bedroom is completely unique to your house and your style! You’ve all heard the phrase about style over substance. Well, why not have both? Our bedrooms are created to be functional depending on the space, as well as stylish! No one wants to be surrounded by clutter, especially in the bedroom. That is meant to be your little slice of calm, but how can you relax if you’re tripping over clothes hangers and socks? We can help with that too! 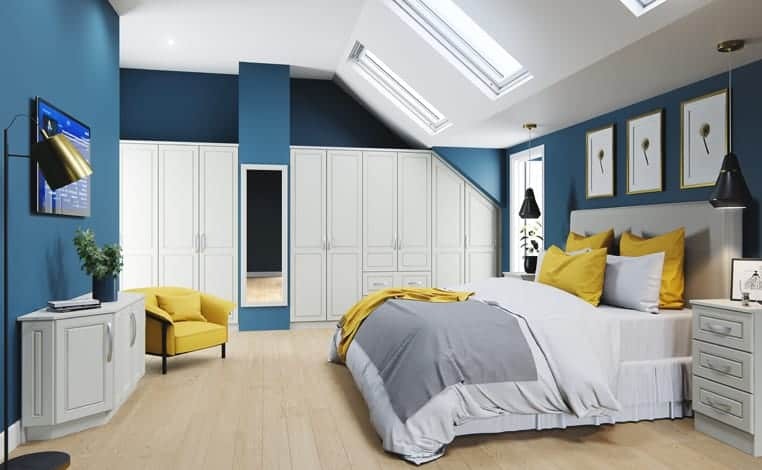 Your fitted bedroom will contain all the clever storage solutions that you could possibly need! As we’ve mentioned before, we can create completely bespoke fitted bedroom furniture. So no matter how big, small or awkward your bedroom space currently is, we can create something that will fit and encompass everything you’re looking for in your Starplan bedroom. So if this blog has made you resent your current bedroom a little bit, or you just want to treat your home to a little upgrade, get in contact with one of our team today! We can organise a free, no obligation home design visit and have our bedroom design experts show you how your room can be transformed right before your very eyes! Is a U shaped fitted kitchen right for you?